Warren Buffett once said that it takes 20 years to build a reputation and only 5 minutes to ruin it. But what most people don’t realize is that you can spend a lot of time and effort to enhance your brand and still have it tarnished by others at once. Unfortunately for USC, that seems to be the case. The campus today is far different from the one students encountered decades ago when the school was better known as a home for the children of Los Angeles’s wealthy elite, snidely referred to as the “University of Spoiled Children.” In the 1990s, the university began an extensive overhaul, emerging as an academic and athletic powerhouse with ranking among the nation’s top-tier schools. It recruited star faculty, including six Nobel laureates, and raised standards for admission, admitting last year only 13 percent of those who applied. The campus also made a major investment in its athletic programs, winning national football championships, while also drawing top athletes to play tennis, water polo, volleyball and track. But a series of corruption scandals has torn through the university, threatening those years of image building. Other schools are also facing a similar problem with their admissions. But it is unlikely that their brands have diminished in the minds of future applicants. By the way, this all begun as a securities fraud case. What is sad is that those involved took advantage of the trust and belief that people have in higher education. Countless have donated to schools trusting that their funds will be used to educate young minds. The moment donors feel that some are enriching themselves through their generosity, those gifts will stop. 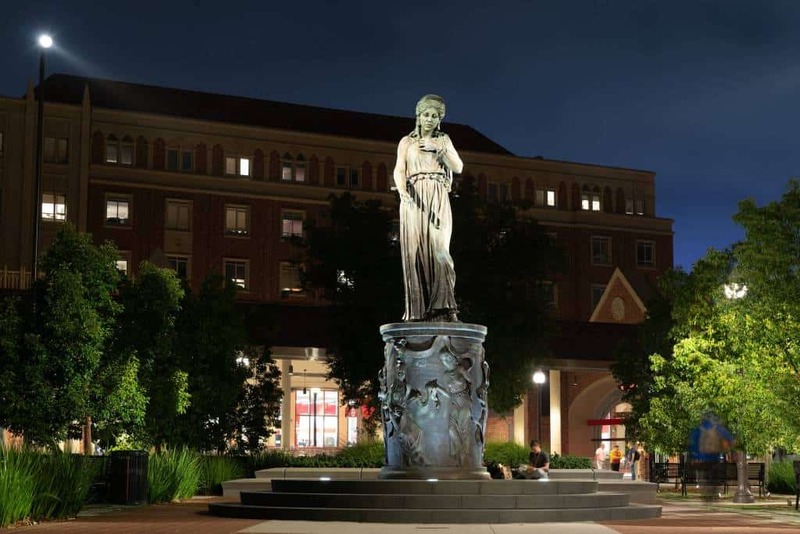 The Queen of Troy, Hecuba, overlooking the central piazza at USC.